When the weather outside is frightful, trudging door to door to look at houses might seem like a fool's errand. Everybody knows spring and summer are the home-buying seasons, and winter is the time when you—and sellers—cool it for a bit and take a break, right? While it's true that things do slow down in the winter, that's not necessarily a bad thing. Yes, it's cold. Yes, fewer homes are for sale. Yes, moving in a snowstorm is a pain no one should experience. But there are quite a few darned smart reasons to buy a home in the winter. In fact, we'd argue that this might even be the best time to buy a home—if you can. Here's why. Not everyone's willing to look at homes in single-digit temperatures. The months of May, June, July, and August make up 40% of existing-home sales, while January and February account for less than 6%. For sellers, that's not-so-hot news. But buyers should rejoice. 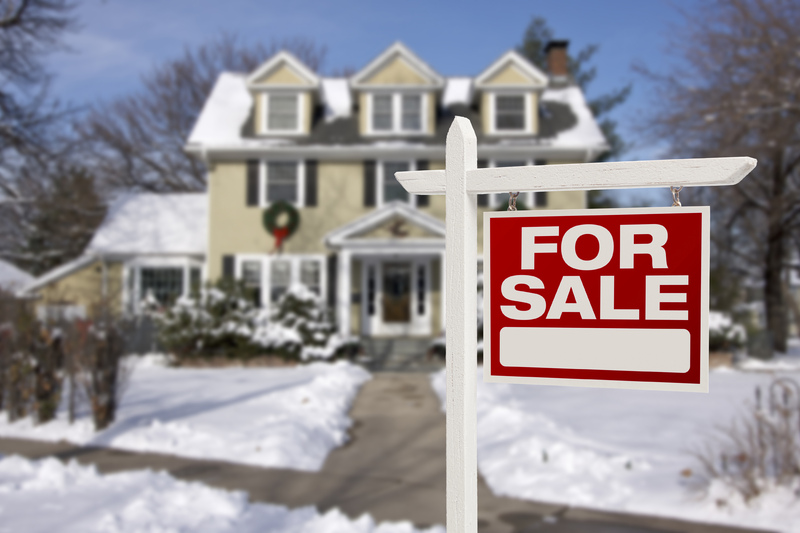 "Buying in the winter knocks out a large chunk of the buyer competition, allowing you to be a bit more selective with your home purchase," says Cincinnati real estate agent Eric Sztanyo. Sure, more summer inventory means there's a better chance of finding your dream home. But your chances of successfully buying any home are higher when it's chilly. Fewer buyers mean fewer all-cash, over-asking offers—making your traditionally financed offer more appealing. Most likely, sellers listing their home in the depths of winter seriously want to sell. That gives buyers the upper hand. "Many people place their homes on the market at this time of the year because they need to," says Lauren McKinney, a Realtor® in Asheville, NC. "Many sellers are looking to get out fast and will be more willing to work with you." You'll also want to keep an eye on each home's "cumulative days on market," which you'll find on the home's listing details page. It's possible that the house has been lingering on the market—giving you more leverage to land a fantastic home for a fraction of the price you would have paid six months earlier. "If you are buying in the winter, you may want to target houses that have been on the market for a few months, because you might just find a seller who is more motivated to accept a lower offer," Sztanyo says. But remember: Just because a seller's eager doesn't necessarily mean you should dramatically lowball or make unreasonable demands—you can sabotage yourself if you get cocky. Instead, work with your agent to determine an appropriate negotiation strategy. In most climates, winter puts stress on the home. That gives you the perfect opportunity to evaluate the property under the worst conditions possible. A home that might seem perfect during the temperate spring could look wholly different in the winter. "You'll never know how drafty the windows may be or how weak the insulation is when previewing a house in the spring and the summer," Sztanyo says. "Buying a house in the winter allows you to put the furnace's ability to keep you warm to the test." Plus, you'll get a better idea of what you're in for on the home's worst days: Is that driveway going to be a pain in the you-know-what to shovel? Do you spot ice dams on the roof? How does the home look with barren trees and shrubs? Just as you'd judge a first date who shows up wearing a track suit, this is your chance to be extra critical of a house you're thinking of committing to. No one can claim that it's easier to move in the winter. If you've ever done it, you know it's sheer misery to move all of your possessions in inclement weather. But the logistics are simplified when you aren't competing with a hundred other moving households. "Movers aren't booked solid like in the spring and summer months," McKinney says. "It's not a bad time to move." You might even be able to negotiate a lower price because of the chilled demand. Just make sure to be flexible and allocate a few days' window for moving—if your moving day falls during the next bomb cyclone, you might have to reschedule. If you're purchasing your first home, buying in the winter gives you a few extra months of potential tax deductions. 'The holidays are your last chance to buy that home and use it as a write-off for your 2018 taxes," says mortgage banker Ralph DiBugnara. Depending on your local laws, you can deduct mortgage interest, taxes, and points—although you should consider talking to a professional before getting too excited. The new tax law might affect your mortgage interest deduction. In the busy spring and summer months, your mortgage broker might be backed up days or even weeks—which is beyond frustrating when your closing is planned around your lender's schedule. But during the holidays, DiBugnara says, things slow down by 25% to 30%. "You will be able to close your loan much faster, as wait times are much shorter during the holiday season," he says. That means you'll be cuddling up in front of that fireplace sooner than expected. Nothing wrong with that, right?